Windows 10 was a huge success How Microsoft Has Pushed Windows 10 and the Results How Microsoft Has Pushed Windows 10 and the Results Microsoft has been promoting Windows 10 aggressively for over a year. The goal was to get the new operating system running on one billion devices by 2018. We look at Microsoft's methods and the numbers. Read More after it launched in 2015. As of March 2017, it was running on over a quarter of Desktop computers worldwide, only trailing Windows 7, which was released six years prior. Microsoft appeared to have listened to feedback about Windows 8 and sought to mix the best of Windows 7 and 8 10 Compelling Reasons to Upgrade to Windows 10 10 Compelling Reasons to Upgrade to Windows 10 Windows 10 is coming on July 29. Is it worth upgrading for free? If you are looking forward to Cortana, state of the art gaming, or better support for hybrid devices - yes, definitely! And... Read More while pushing the OS into the future. Despite the success of the launch, there was one area in which Microsoft appeared falter Windows 10 Is Watching: Should You Be Worried? Windows 10 Is Watching: Should You Be Worried? Since its release, Windows 10 has been dogged by rumors concerning user privacy. Some of these are accurate, whereas others are myths. But where does Windows 10 stand on privacy, really? Read More : privacy. Windows 10 included mandatory and opt-out data collection for “product improvement and personalization” purposes. They further complicated the situation by being unclear about what data they were collecting and for what purpose, leading to claims that Windows 10 was a “privacy nightmare”. With the advent of the Windows 10 Creator’s Update though, Microsoft seems to have decided that the time is right to be more transparent about their data gathering activities. Gathering data through Windows is nothing new. In fact it has been happening in Windows since 2009 Is Microsoft Gathering Data From You in Windows 7 and 8? Is Microsoft Gathering Data From You in Windows 7 and 8? You haven't upgraded to Windows 10 because you're worried about privacy? Microsoft has released a series of updates for Windows 7 and 8.1 that introduce similar diagnostics tracking. The good news is, you can remove... Read More through the Customer Experience Improvement Program (CEIP). The biggest difference though between Windows 10 Telemetry and the CEIP is that the data gathering is no longer opt-in. Once you were upgraded to Windows 10, Microsoft began gathering data on your use of your Windows computer and even linked that data to your Microsoft account. Although the use of an opt-out approach is generally frowned upon, Microsoft took it a step further by complicating the privacy options, and giving you little choice in the matter. If these privacy changes had happened pre-2013, then there’s a good chance that they may have been overlooked. However, in that year Edward Snowden leaked documents from the NSA that laid bare the mass surveillance of U.S. citizens and internet users around the world. PRISM was one of the most controversial of all the programs that the NSA undertook What Is PRISM? Everything You Need to Know What Is PRISM? Everything You Need to Know The National Security Agency in the US has access to whatever data you're storing with US service providers like Google Microsoft, Yahoo, and Facebook. They're also likely monitoring most of the traffic flowing across the... Read More — gathering user data from some of the largest technology companies including Facebook, Yahoo, Google, and Microsoft. In fact some Microsoft software that people believed to be secure like Skype, Hotmail, and even Word, were susceptible to surveillance. The timing of the addition of mandatory data gathering, with little explanation, and only two years after the initial revelations was particularly problematic. This led many to aggressively question Microsoft’s data gathering, even going so far as to develop tools to disable Windows telemetry, or to suggest abandoning Windows all together for a more secure Linux-based OS. Unfortunately Microsoft decided to stay silent on the matter which only made the fears appear more rational. The third-party tools that were designed to disable the data collection 7 Tools to Manage Privacy Settings in Windows 7 Tools to Manage Privacy Settings in Windows Every Windows version has its flaws and user privacy is one that haunts them all. We'll introduce you to seven tools that can help you manage native Windows privacy settings. Read More , actually proved a security risk to users. Services like Windows Update and malware protection rely on connecting to Microsoft servers. With all connections blocked, users became unable to patch critical security holes. Fortunately, Microsoft has decided to remedy this potentially dangerous situation by finally granting Windows users clear and granular privacy settings in the Windows 10 Creator’s Update. To coincide with the update’s release, they also published an in-depth guide to the different areas of data collection on TechNet. In the Creator’s Update there has also been a simplification of data collection levels down to either Basic or Full. A companion TechNet post listed every point of data collected at the Basic level along with Technical Information. Microsoft has so far only published descriptions and example data for each category at the Full collection level. Given the uproar after Congress voted to allow ISPs to sell your internet history FOR SALE: Your Browsing History -- So What Can You Do? FOR SALE: Your Browsing History -- So What Can You Do? An FCC ruling that the ISPs must obtain permission from customers before selling personal data could be reversed. Your ISP is about to set a price for your personal data. How can we fight back? Read More , it’s clear that people believe their browsing and search data to be very personal. This makes the Browsing, Search and Query data type particularly contentious. Microsoft browser data — Text typed into the address bar, text selected for Cortana search, autocomplete, URLs, and page titles. On-device file query — Search type, number of items found, file extension of item opened, App ID of opening app, search scope. When searching locally on your device only metadata about the search is collected, presumably in order to make sure that search helps you find what you are looking for more efficiently. 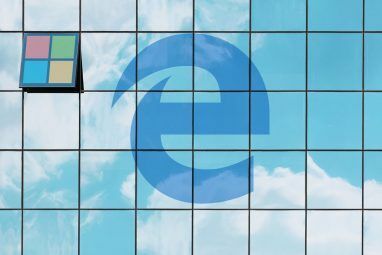 The good news about the browsing and online search history is that if you don’t want to be involved, you can just use another browser as it applies only to either internet Explorer or Edge. Its worth keeping in mind that Microsoft only tracks searches on their browsers, and also allows you to opt-out. This is in stark contrast to Google who monitor all searches on their platform in order to provide you ads How to Disable Google's Personalized Ads How to Disable Google's Personalized Ads It's no secret that Google presents personalized ads to you based on your browsing history. If that creeps you out, then here's how to disable it once and for all. Read More . With the rise of smart home devices along with the high-profile legal case involving Amazon’s Echo device Shopping vs. Privacy: What Does Amazon Know About You? Shopping vs. Privacy: What Does Amazon Know About You? Did you think Amazon was too noble to breach your privacy? You'd be surprised. Here's what the company knows about you, where that knowledge comes from, and how you can control it. Read More in 2016, people have become very aware of the potential for their devices to be always listening to them. The Inking, Typing, and Speech Utterance category aims to clarify exactly what Microsoft does with the data it processes. Type of pen used (highlighter, ballpoint, pencil), color, stroke, height, width, and how long it is used. Text of speech recognition results. Ink strokes written, text before and after ink insertion, recognized text. Whether the user is known to be a child. Confidence and Success/Failure of speech recognition. 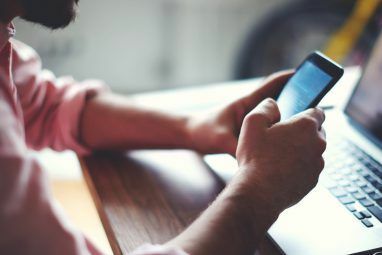 The post makes it clear that any ink strokes that are converted to text are stripped of information that could reconstruct the content or associate it to a user. If collection of voice data outlined here seems oddly brief, that would be because the main voice input — Cortana — is governed by a separate data collection policy. After the Windows 10 launch, Microsoft appeared to stay purposefully silent on the matter of data collection. Then they entered the foray by publishing some interesting usage statistics over on their blog. Among all the data included was that there had been “over 82 billion photos viewed within the Windows 10 Photo app”. This did little to calm people’s worries. Movies — Video width, height, and color palette. Encoding type and streaming instructions. Music & TV — URL of songs being downloaded, media type, and local media library statistics. Reading — Name of the app accessing Windows Store books, book language, and time spent reading. Photos App — File source (SD card, network device, OneDrive), image/video size and resolution, and media view (full screen or collection view). Under the Content Consumption data type Microsoft isn’t tracking what you consume but rather how you consume it. In addition to the more controversial categories of data collection, Microsoft also provided information on some of the less disputed categories. Although this list seems particularly long and potential invasive, it’s not all that different to data that can be gathered by specification tools Did You Get The PC You Ordered? Find Out With These System Information Tools [Windows] Did You Get The PC You Ordered? Find Out With These System Information Tools [Windows] Have you recently purchased a PC? If yes, was it customized? By customized, I mean assembled by a local computer shop, or even just by someone you know who builds and sells computers. If you... Read More like Belarc Advisor. In many ways it’s not even that different to the data your browser can leak Is Your Browser Leaking Your Online Secrets? Is Your Browser Leaking Your Online Secrets? Is your browser leaking your online secrets? Could it be letting your train spotting obsession out of the bag, without even an inkling of remorse? And if it is, how on earth would you know? Read More to the websites you visit. The original purpose behind the CEIP was to “[help] Microsoft identify which Windows features to improve“. By tracking which features users spent most of their time with, or even which had the most problems, Microsoft was able to focus their efforts in useful ways. The Product and Service Usage category is an extension of that purpose. This category primarily covers information used for diagnostics and device health. When an app crashes or something unexpected happens, this is the data that may help get to the bottom of it. Device Health and Crash data — Error codes/messages, system generated log files, user generated files indicated as potential cause of crash, crash and hang dumps. There is a lot of data nested underneath Device performance and reliability which may make you feel uneasy. However, a closer look shows that very little being recorded is sensitive or personal information. Instead, it is nearly all related to the health of the hardware and software configuration of your device. Comment from discussion pcg79’s comment from discussion "After upgrading to 10586, this notice was concerning. App wasn’t installed through the App Store, yet Windows removed it without prompting me.". For the last few iterations of Windows, Microsoft would check your upgrade eligibility and would warn you of any potential issues before you went ahead. Instead, Windows 10 was making the decision for you to remove the potentially problematic apps. This fueled speculation that Microsoft was collecting data on which applications were installed on your computer. In the future, could Microsoft remove apps they don’t approve of? Installed Applications and Install History — App (driver, update package, name, ID), Product, install date, method, install directory, MSI package and product codes. Installation type — Clean install, repair, restore, OEM, upgrade, update. Device update information — Information about Windows Update including machine ID, number of applicable updates, update download and size. Although the TechNet post does little to assuage those fears, Microsoft has at least admitted that they are tracking which applications you have installed on your computer. In a world of online shopping and app stores, you perhaps already suspected that this information was being stored and collected. The data collected for Licensing and Purchasing allows Microsoft to verify that you are running a legitimate copy of Windows, as well as providing you with account information. Purchase History — Product name, price, time of purchase, and payment method. Entitlements — Subscriptions, license types and details, and DRM details. The publication of Microsoft’s data collection categories was timed to coincide with the release of the Windows 10 Creator’s Update. 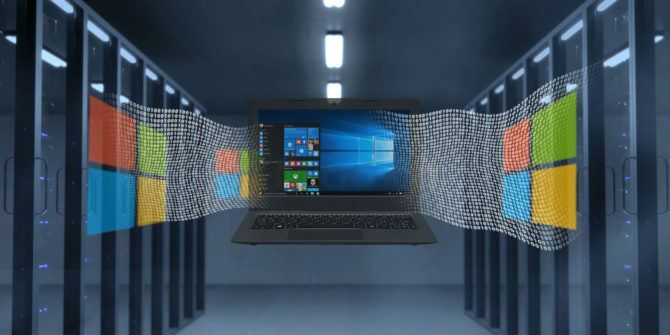 As explained in a blog post by the Windows and Devices Group EVP Terry Myerson and Privacy Officer Marisa Rogers, the update give you more control over your privacy. As outlined in the post, Microsoft has improved the information you see about the privacy settings throughout Windows, by including descriptions and “Learn More” buttons. The major improvement to the Windows 10 privacy settings though is during the Creator’s Update installation process. As part of the update process, you will now be able to review your privacy settings, even if you were already running Windows 10. As well as being able to choose between Basic and Full levels of data collection Microsoft Eases Your Windows 10 Privacy Concerns Microsoft Eases Your Windows 10 Privacy Concerns Ahead of the release of the Creators Update, Microsoft is addressing people's privacy concerns regarding Windows 10. But will this be enough to appease privacy advocates? Read More , you will also be able to fine-tune other privacy settings including location access, and personalized ads. While the majority of the data outlined in the TechNet post is specific to the device you are using, there are areas that overlap with your Microsoft account. This includes the use of Cortana as the personal assistant will store your preferences and interests. Microsoft recently launched a web-based privacy dashboard that allows you to view and remove data that has been collected and associated with your Microsoft account. Are You Ready to Trust Microsoft Again? With credit to Microsoft, they have listened to their users and made a concerted effort to be more transparent about data collection. They have provided more controls and options as to what data is stored and how it is used. This may have reassured you that Microsoft — despite their ties to the PRISM program — isn’t overreaching in their data collection. However, it’s important to note that all the new privacy features are only available and relevant to Windows 10 Creator’s Update. Windows 7, 8, and “vanilla” 10 will not be receiving the same treatment or level of transparency. If you find yourself still struggling to accept Microsoft’s data collection tactics then there are many ways to protect yourself. You could either switch to an encrypted email provider The 3 Most Secure & Encrypted Email Providers Online The 3 Most Secure & Encrypted Email Providers Online Fed up with government surveillance? Concerned your emails might be read by third parties? If so, it's worth looking at an encrypted email solution to protect your messages. Read More , use a VPN 6 Logless VPNs That Take Your Privacy Seriously 6 Logless VPNs That Take Your Privacy Seriously In an age where every online movement is tracked and logged, a VPN seems a logical choice. We've taken a look at six VPNs that take your anonymity seriously. Read More , or use a privacy-focused web browser like Firefox 3 Compelling Reasons Why Firefox's Stance On Privacy Is Worth Paying Attention To 3 Compelling Reasons Why Firefox's Stance On Privacy Is Worth Paying Attention To No one wants to think they're being watched without consent. Firefox is the only "big three" browser with zero interest in collecting user data. What does this really mean for users? Read More . If you are thinking of ditching Windows for good then you may be tempted by one of the privacy-focused Linux distros Linux Operating Systems for The Paranoid: What Are The Most Secure Options? Linux Operating Systems for The Paranoid: What Are The Most Secure Options? Switching to Linux delivers many benefits for users. From a more stable system to a vast selection of open source software, you're onto a winner. And it won't cost you a penny! Read More . Do you think this is a breakthrough for Microsoft? Do you feel more relaxed about using Windows 10? Or do you think this has been totally overblown? Let us know in the comments below! Explore more about: Online Privacy, Windows 10. If think that if MS had 1) added a kill switch for all communication back home to the servers, listing. of course, the features than would thus not work if the switch was used and giving a true client based OS like the Enterprise version, and 2) put out security only updates separate to feature only updates: then they would have some credibility regarding their protection of your privacy. These are so easy for them to implement that the mere fact that they are not says a lot to their commitment to user privacy and security. They still are pipe-lined into the special version of Google Search provided by Google to the NSA - the one without ads and where they ask any information about any US resident and the Google Search engine goes to work and data mines the combined data collected by Google and Microsoft. From Microsoft's descriptions most of the data that they request from ordinary users is about how their products are used and what state they are in. As the ability to store data has increased, so has the scope of what companies request. I personally have disabled telemetry - but I also don't believe that Microsoft collects it for malicious purposes. With regard to the NSA - Microsoft should have and could have put up more of a fight to protect their users - then again they - like all American companies - are at the mercy of Government bodies through the rule of law. "The third-party tools that were designed to disable the data collection, actually proved a security risk to users. Services like Windows Update and malware protection..."
Broad claim with no validation. Most of the anti-spy tools operate by blocking connections to all Microsoft servers. This is how issues like these (http://www.askvg.com/fix-cant-open-bing-msn-outlook-or-other-microsoft-websites-in-windows-10/) were discovered. Additionally, ghacks did a roundup of the main anti-spy tools in 2015 where they found that the majority wouldn't explain any of the actions they take. This is a problem for most users as they would have no idea whether the actions taken were appropriate.